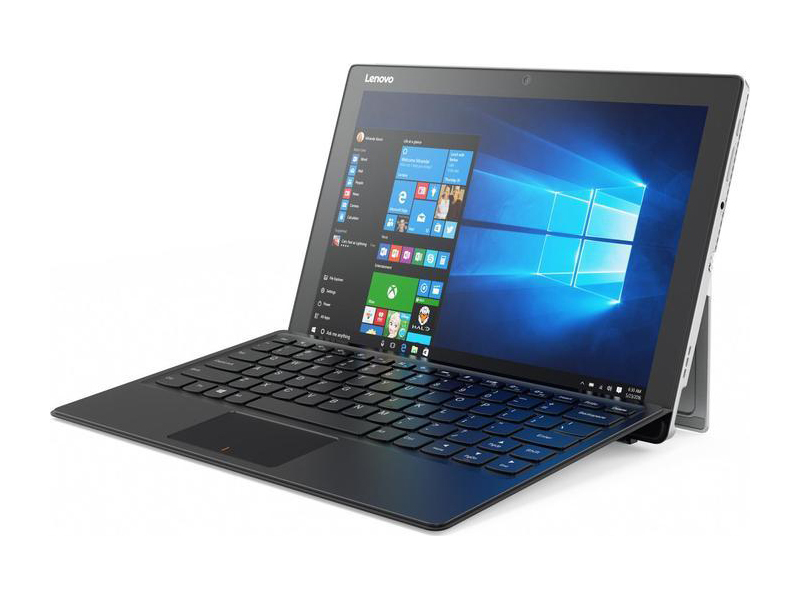 Model: The Lenovo IdeaPad Miix 510-12IKB-80XE000JGE is a 2-in-1 convertible laptop. The 12.2-incher adapts to every moment, whatever users are doing. 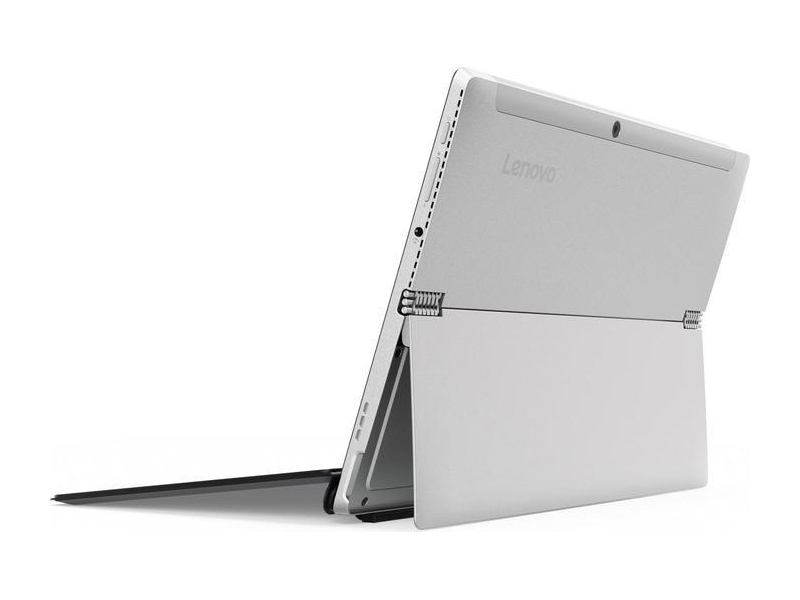 With unique watch band hinges, the Miix 510 is both a laptop and a tablet. 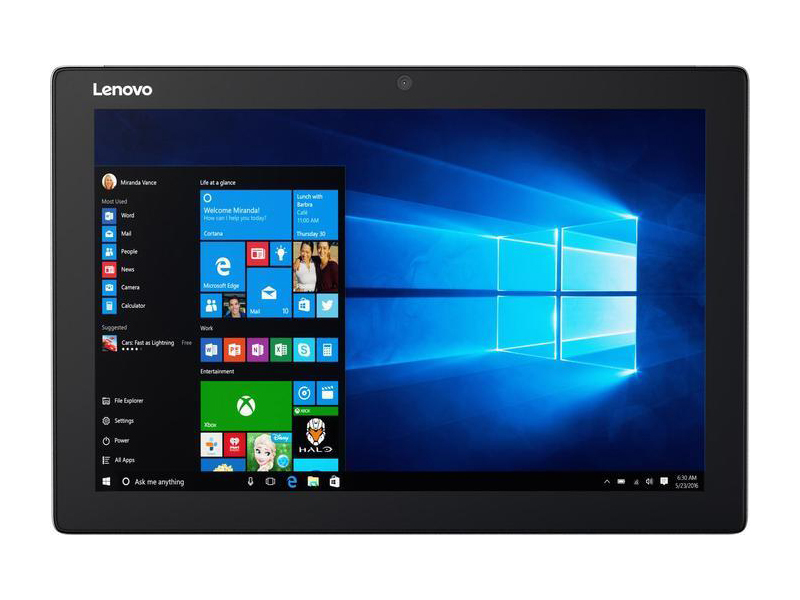 Running on Microsoft Windows 10 Home 64 Bit, it has many features from fast start-ups to the expanded Start menu, from the all-new browser to Cortana, which is a digital personal assistant. 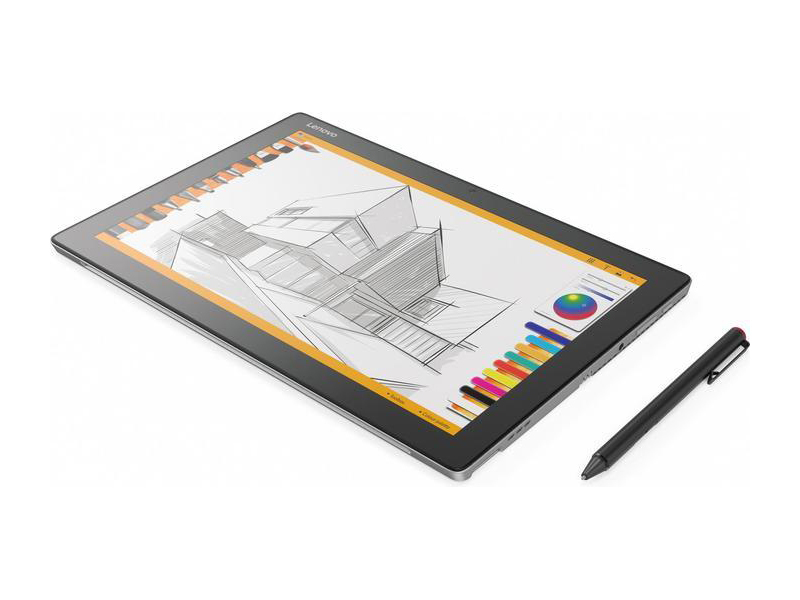 With a premium one-piece aluminum chassis, the Miix 510 is bound to attract attention. Made from 280 individual pieces of stainless steel, the hinges provide strength and flexibility. Adjustable up to 150°, they help to find the perfect viewing angle for watching videos, typing or using the touchscreen. The convertible measures 15.9 x 300 x 205 mm and weighs 1.25 kg. The memory configuration is very good for this device. 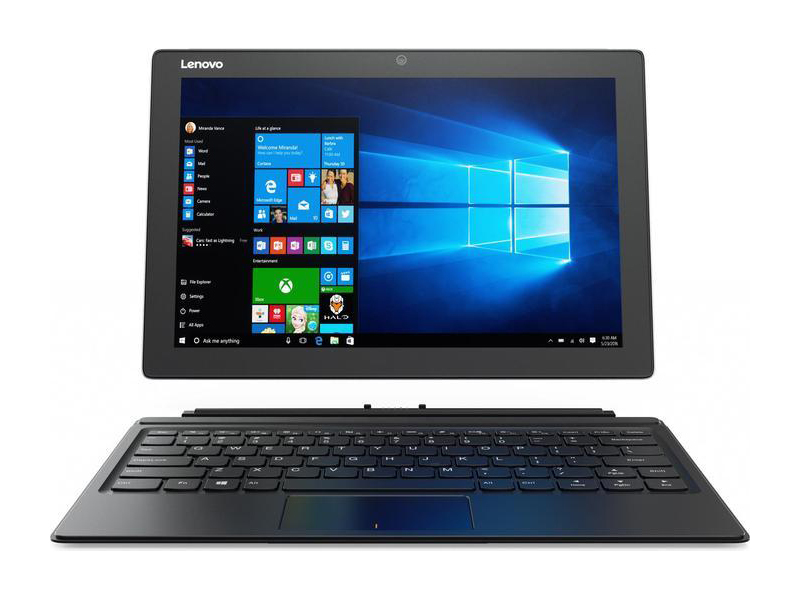 With 8 GB of RAM, users can easily work with several open programs or surfing tabs, and the 256 GB SSD offers enough storage space. The SSD delivers significantly faster read and write speeds than previous generations of storage options. Other competitors are more likely to deliver either better RAM or better SSD only. While 2-in-1 devices are often supplied by processors of the 4.5-watt class, the 15-watt class is featured here, namely the Core i5-7200U to provide better performance. However, this also causes two disadvantages: The processor develops correspondingly more waste heat, which must be dissipated by an active fan cooling, and the battery life is no longer despite the larger and heavier battery. The display can shine with an almost one hundred percent sRGB color space coverage and is not quite as reflective as other devices. Unfortunately, with 300 cd/m² brightness, it is not very bright. The display resolution is sufficient with 1,920 x 1,200 pixels. 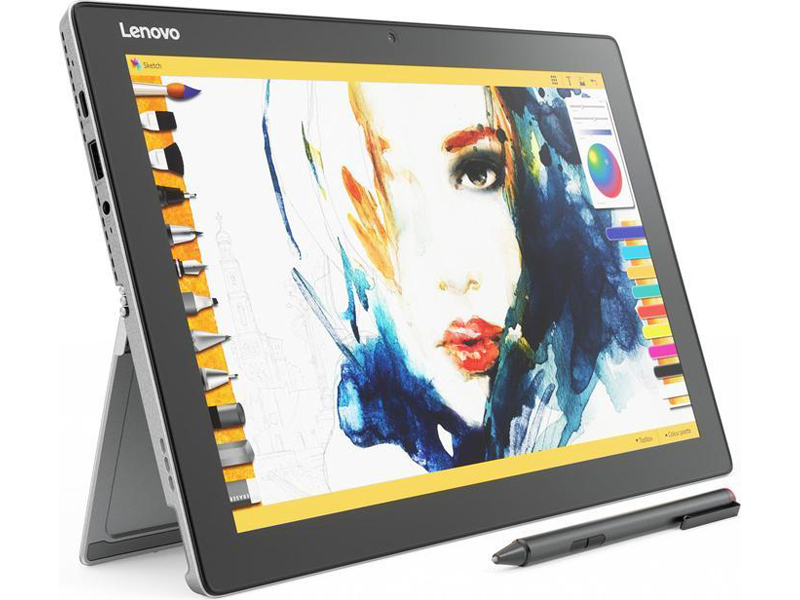 The user can take photos with the rear-facing 5 MP camera, then edit them in a snap by attaching the keyboard or use the optional Lenovo Active Pen to select them. USB Type-A and Type-C are also available. The detachable keyboard with optional backlight has 1.5 mm of key travel to closely replicate the typing feel of a laptop. And it doubles up as a folio case to protect the screen when users are on the move. The supplied stylus can be easily stowed away by a bracket that can be attached to the USB port. Whether voice or video calls, Miix 510 is optimized for VoIP with a 2 MP HD webcam and dual-array microphone. The microphone's noise cancellation technology reduces background noise and interference. As for audio, with Dolby-enabled stereo speakers, the user can enjoy crisp and immersive audio. 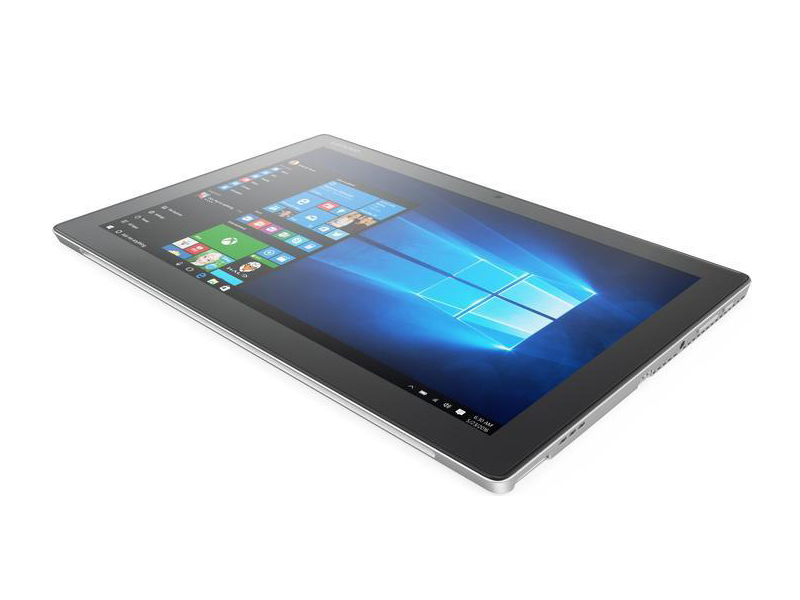 The Miix 510-12IKB-80XE000JGE is a good, affordable alternative to the Surface Pro series but is comes with lesser features.